This map is derived from “The Treasure Pit” adventure provided in the “Cities of Bone” 2nd edition source book (by Steve Kurtz). 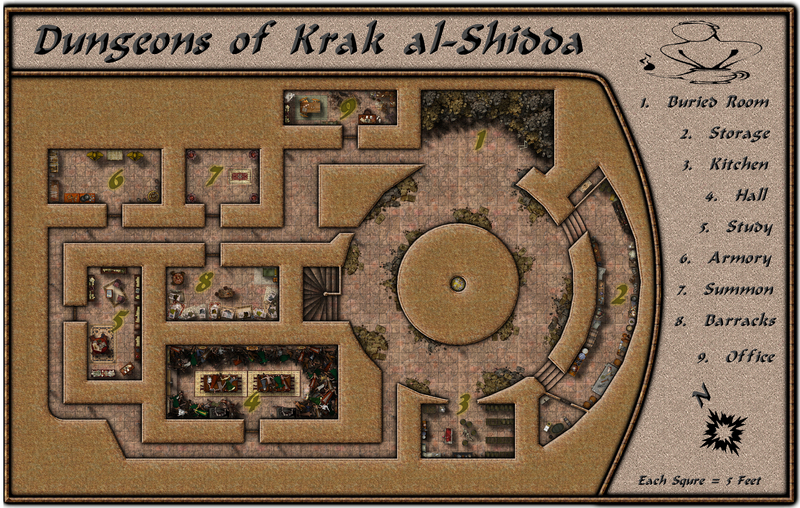 As with my other adaptations of Al-Qadim material, I tried to remain true to the original design but made several structural modifications along with vastly expanding the dungeon dressing. The map was made with CC3 and utilized objects derived from the CSUAC and Dunjinni forums. 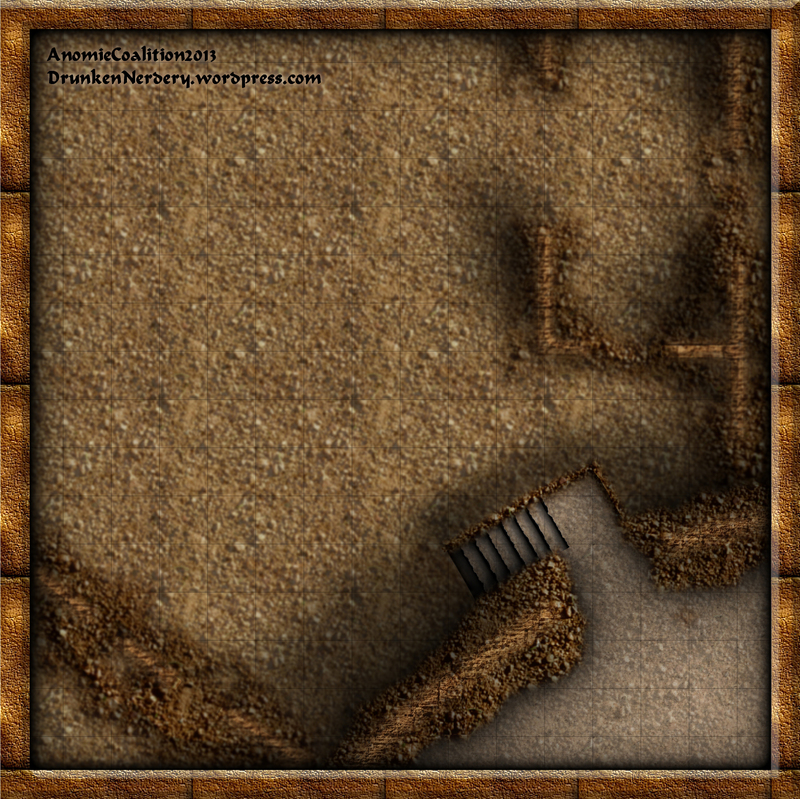 The basic story is that our adventurers have stumbled upon the ruins of an ancient fortress. Unbeknownst to them, their guide is a were-hyena who is in the business of luring unsuspecting adventurers into the dungeon so as to make the kill that much easier. More of the story to come as I finish working on the other maps needed for this adventure. *Here is a small map that can be used to run the last encounter in this adventure. It shows an 80 foot perimeter around the entrance to the dungeon. Categories: Al-Qadim | Tags: Al-Qadim, CC3, Dungeon | Permalink.